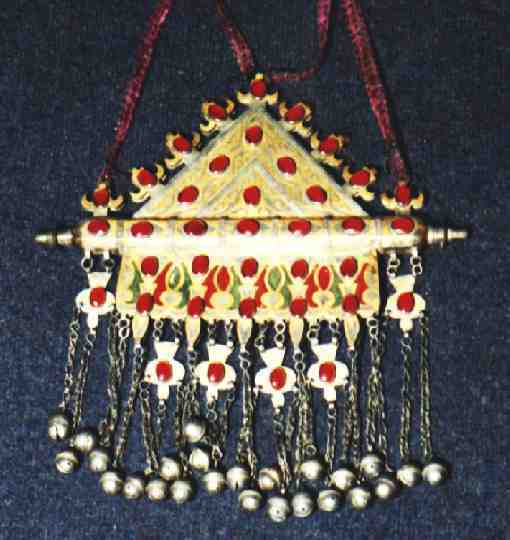 The jewellery is mainly worn by women. So they can show to everybody that the family is rich enough to have jewels. As jewels are precious and easy to store they could be kept for harder times to come and then be sold in a case of emergency. 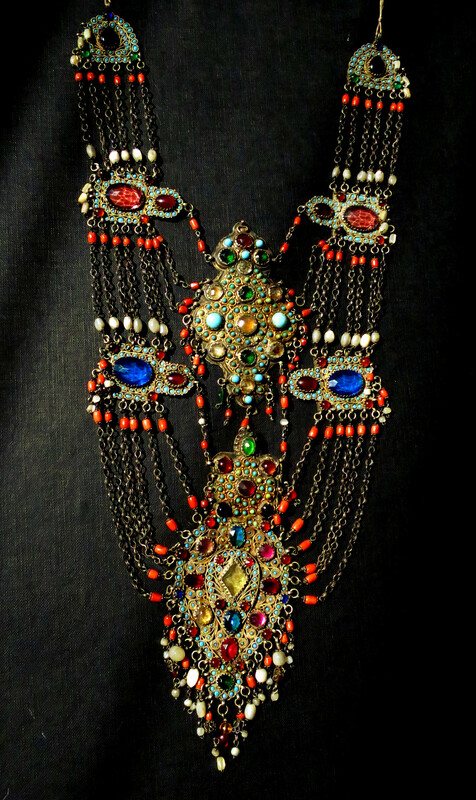 The colours of the stones and the forms of the ornaments all have a tremendous symbolic meaning. 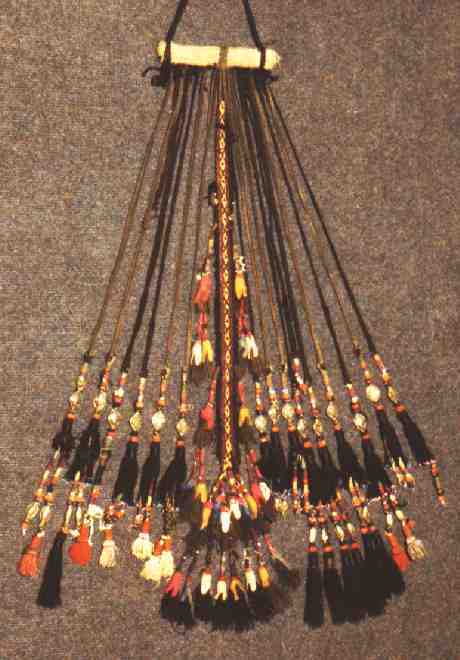 Nomadic jewellery is mainly made from silver. It may be plated with gold, whereas solid gold occurs in the jewellery of the sedentary population. There are precious stones, but it is more the aspect (and the symbolic meaning) that counts than the real value of them. So we come across precious stones, semi-precious stones and coloured glass stones in the same item. We want to show you a bride's crown and the bride's necklace which are both beautifully artistic. 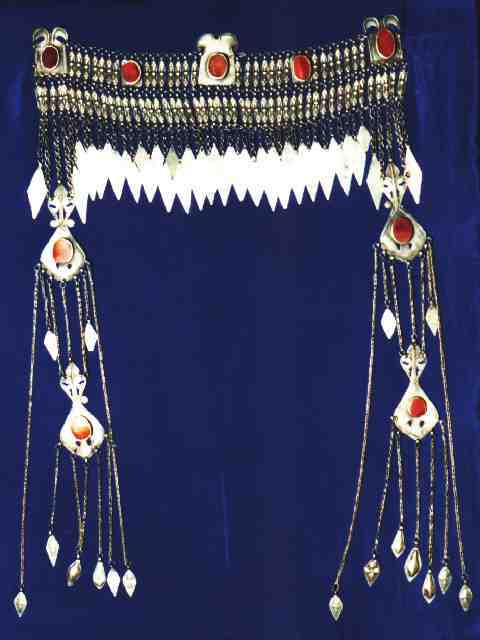 The next two items are worn on a woman's back, one in the hair dress, the other over the back of the gown. The other two items are not from region which is covered by our collection. 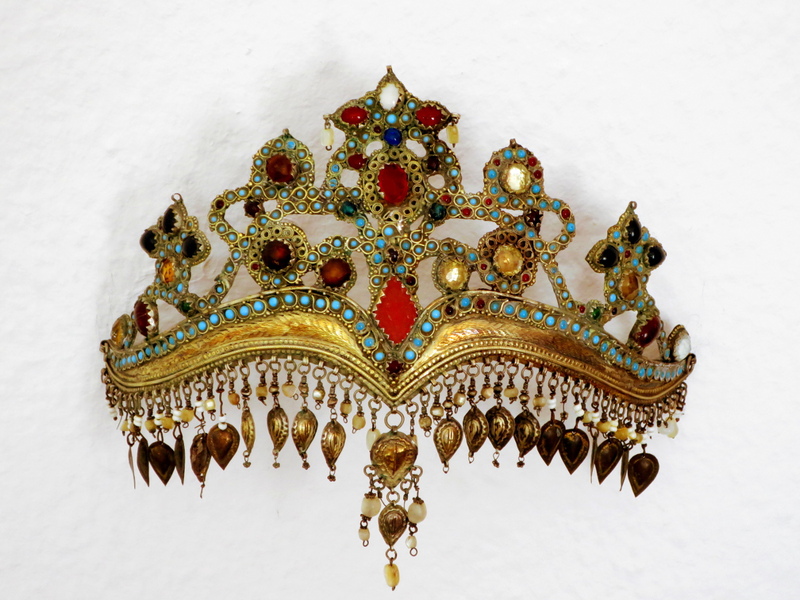 One is an Ersari head dress, the other a Tekke amulet.